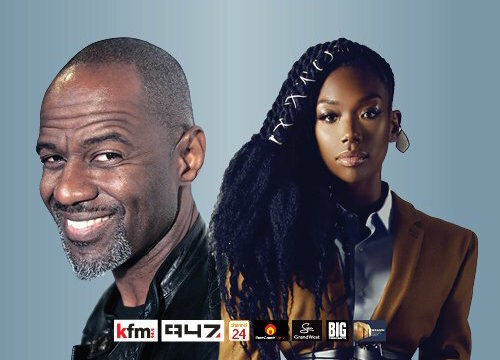 Big Concerts has confirmed that Legends of R&B, will be returning to South Africa in December and will feature Brian McKnight and Brandy. Legends of R&B will be presented by East Coast Radio, 947, KFM 94.5, Channel 24, and Mzansi Magic. McKnight has released 17 albums to date, with several going two and three times platinum, and he has sold over 30 million albums worldwide. In addition to being a singer, songwriter, and producer, McKnight has hosted Soul Session Countdown with Brian McKnight on BETJ and The Brian McKnight Morning Show on KTWV. The Wave Smooth Jazz radio show was rated as the Top 5 rated show two years running. McKnight has also been a red carpet host for Extra! In 2007, McKnight stepped into Broadway, playing Billy Flynn in Chicago. To mark his 25th anniversary as a recording artist, McKnight will debut his 18th album, Genesis, on Friday, 25 August, which will be released worldwide through SRG | SONOS Recording Group and will feature the track Forever. Brandy has sold more than 40 million albums worldwide (including the five times platinum selling Never Say Never) and is ranked as one of the best-selling female artists in United States music history by the RIAA, having sold over 11 million albums in the US. She has recorded five albums in total; Never Say Never (1998), Full Moon (2002), Afrodisiac (2004), Human (2008), and Two Eleven (2012). Brandy has also earned awards, including a Grammy, an AMA, two Soul Train Music Awards, two NAACP Image Awards, three Billboard Awards, four MTV Awards, six Soul Train Lady of Soul Awards, two Nickelodeon Kids’ Choice Awards, and three BMI Awards. In 2016, Brandy released Beggin & Pleadin and she is working towards recording her seventh studio album. Ticket price – R480 to R945. Ticket price – R480 to R1000. Ticket price – R425 to R845. Tickets go on sale on Wednesday, 2 August at 09:00 and can be bought from Big Concerts and Computicket.